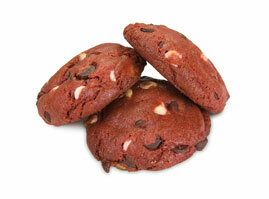 The Cravory specializes in cookies, and let me tell you, these cookies are to die for! Each cookies is cram-packed full of ingredients. And these are just regular ingredients.. they are high quality, delicious ingredients! And trust me.. These cookies are worth every single penny! Normally, when you get a cookie, how big would you say it is? In height? I'd say maybe like 1/3rd of an inch, right? Well, The Cravory cookies are at least 3/4th of an inch thick, or maybe even bigger! They are huge! Hands down- some of the thickest cookies I have ever seen! For my review from The Cravory I received a mixed dozen of cookies, and they were all delicious! The Birthday Cake Cookies were SO delicious! Normally, I don't care for the tiny little sprinkles- But you could have put ANYTHING on top of these, and I would have still liked them! :) They were just so soft, and chewy! How can you not like chocolate chip cookies? Is that even possible? Well just imagine a chocolate chip cookies, 2x thicker then the average cookie, with at least 2x as many chocolate chips. Now doesn't that sound amazing? Well- that's exactly how the Ultimate Chocolate Chip was :)!! I thought this cookie was quite enjoyable! I never thought of using Red Velvet in a cookie. Great idea though, because it tasted awesome! Aaron especially loved this one- I think it may have been his favorite! And finally. The Pancakes and Bacon. I can't lie.. I didn't think I would even kindof like these. All I could think about was.. "Bacon? Bacon in a cookie!?" Well, yes. I know there is like a bacon craze right now, and I think I can see why. These had a very bacon taste, and anybody who loves bacon will like these! Overall, I thought The Cravory cookies were amazing! If you would like to try The Cravory, please be sure to use this coupon code good for 20% off! Use the code "Ratsandmore"
Overall, I thought The Cravory cookies were amazing, and I highly recommend them! 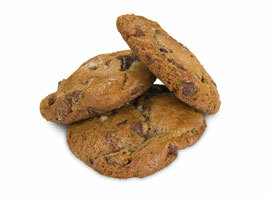 1 of you will receive a random mixed dozen of cookies! 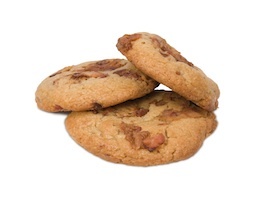 Mandatory Entry: Visit The Cravory website, and tell me which cookie you would love to try! ﻿﻿Disclosure: Review product is bring provided to me free of charge to ensure an honest review. All opinions expressed are my own, and were not influenced in any way. Facebook is not involved in any way. Only 1 entry PER HOUSEHOLD. Be sure to leave your email address in each comment.This giveaway will end July 15th, 2011 at 11:59pm. I would like to try the tiramisu cookies, they look really good. Oh yum! 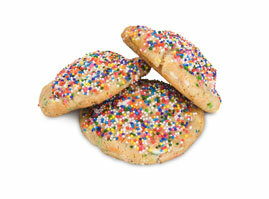 The birthday cake cookies. 2 of my favorite foods in one. It has got to be good! Would love to try them! I shared on my facebook as charity l.
I entered the food sjhould taste good giveaway. Rosemary Balsamic and Tiramisu sound really interesting!! I'd love to try the ultimate chocolate chip cookie. I like/follow The Cravory on Facebook as Ricky Todd. I follow The Cravory on twitter as humanecats. I shared on Facebook as Ricky Todd. I entered Food Should Taste Good giveaway. I would love to give the Rosemary Balsamic cookies a try. I love unusual flavors and those are two of my favorite ingredients. I want to try Oreo Milkshake and Birthday Cake! The PEANUT BUTTER OVERLOAD sound great. 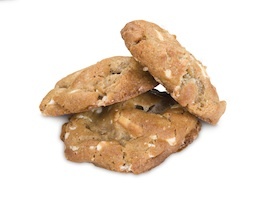 I think the Banana Creme Pie cookies would be really good and I would love to try them. 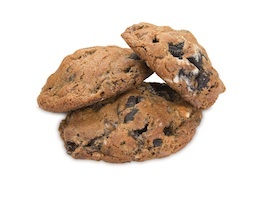 Follow you on gfc: June M.
The cookies that I would love to try from The Cravory are the Ultimate Chocolate Chip. A cookie giveaway...are you kidding? I'm sooo excited and sooo want to win. The banana cream pie cookies or the birthday cake cookies look awesome. But really I would eat any of them. I follow The Cravory on Twitter. Mandatory - i like the candy bar cookies! 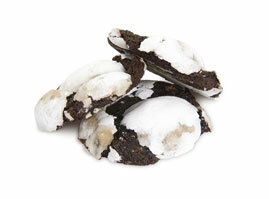 I would most like to try the Chocolate Truffle Cookies, yum! I think I would love the rich, chocolaty decadence! I sent you a friend request on Facebook (Tracy Robertson). I'd like to try the Banana Creme Pie Cookie. I already like the cravory! I LOVE their cookies! I would love to try the PB Smores, sounds like a great summer cookie!